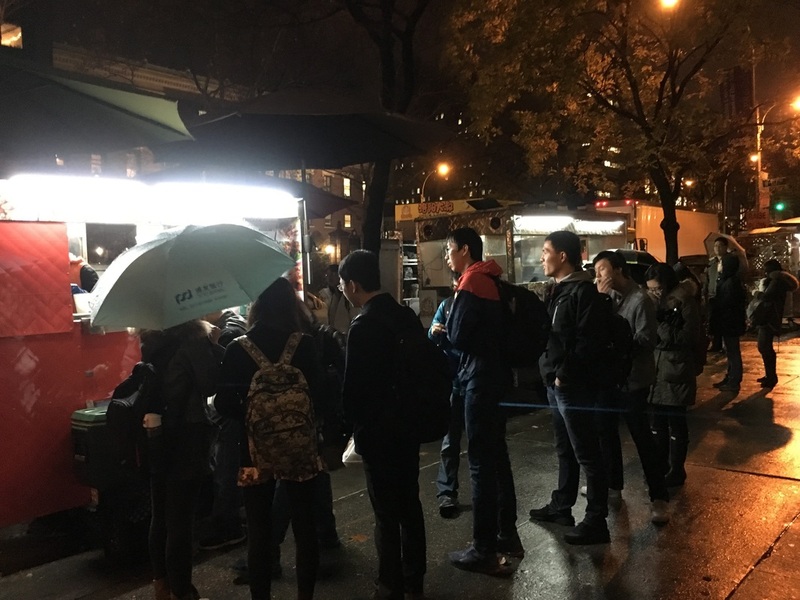 ​Waiting in lines in front of food trucks is a common experience for Columbia students, and not surprisingly, same thing is happening for many other universities and companies! 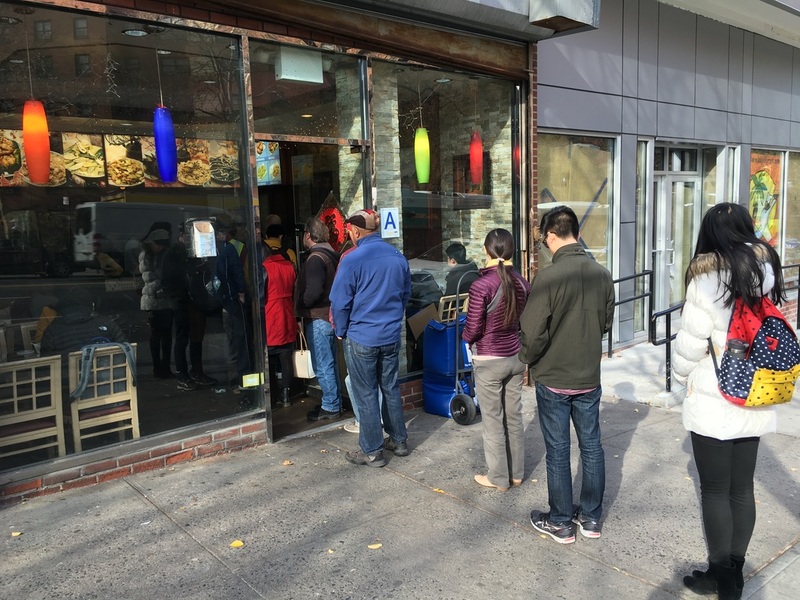 Sometimes it will take even more than 30 minutes to get lunch, because apart form the time spent waiting in line, waiting for cooking can also be extremely slow. Waiting itself is already frustrating, not to mention if we have to wait in cold, rainy, windy or snowy days! Of course, we do have some other options, but they are far from ideal as well. If we bring our own lunch to university, by the time for lunch it will be as cold as stone. Moreover, not everyone is skillful and patient enough for cooking! Alternatively we can order food online or by phone and hope it will arrive just in time. However, this is just nearly never the case. I believe you must have similar experience: you have to answer a phone call in the middle of a class or meeting telling you your food has arrived. Or you waited hungrily for 15 minutes until the delivery finally called you. Why don’t we have a more reliable choice? A choice that can keep you away from waiting as well as keep your lunch hot? These are the motivation of our solution: smart food delivery! When people can fetch their lunch from our smart food delivery boxes, problem can thus be solved. Moreover, the hygiene and security condition outside campus will be improved as well, without so many people jamming in front of food trucks!